Walking season is upon us, and there are few finer treks than a stroll along the Thames. 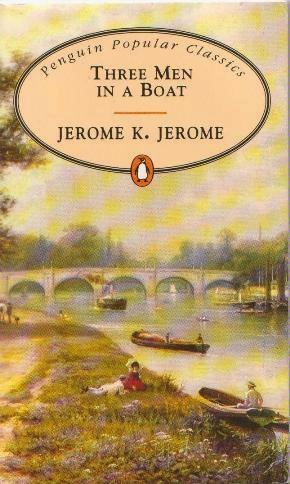 Here are ten of our favourite books about London's river, taking in both fiction and non-fiction. The trivia flows faster and furiouser than Vin Diesel in a log flume, in Winn's sequel to I Never Knew That About London. From source to sea, the river is facted for all it's worth. Discover the island where Magna Carter was signed, a London Stone that isn't that London Stone, the inspiration for Toad Hall, and at least two Thames-side locations that stood in for Vietnam in Full Metal Jacket. 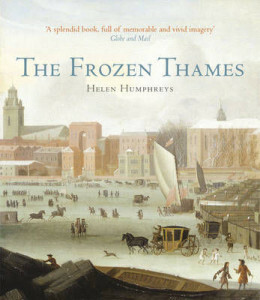 A delicious medley of 40 short stories, each set during one of the many times the Thames has frozen over in London. Although fictional, most vignettes feature historical events and people. We dip into the frost fairs of the 18th Century, join Tudors hunting hares on the solidified Thames, and tread with fear in the footsteps of someone caught on the melting ice. A surprisingly warm volume for a subject so chilly. The now-famous London author moans his way along the river in a mostly fictional, demisemi-autobiographical and totally unconventional narrative that slips through the fingers like water. Twelve stories of industrial decline, Conradian connections and political parody are presented thicker than an anchor sandwich and as difficult to digest as a bucket of Thames water. You're not in for an easy read. Instead, let yourself float downriver on Sinclair's deep and poetic words. Chris Roberts, sometime Londonist collaborator and founder of One Eye Grey, offers a history of London's bridges from Hammersmith to Tower. It's highly readable, with a pleasing mix of traditional history and pop-culture references. Travis Elborough's recent book about London Bridge's journey to America is also a splendid pontine read, though less about the Thames. You want moody black and white shots of London through the ages? You got 'em. 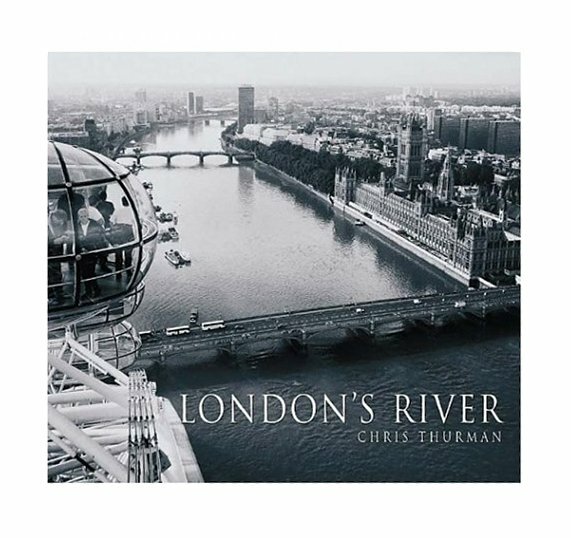 London's River is a photo-led study of the Thames over the past 40 years. 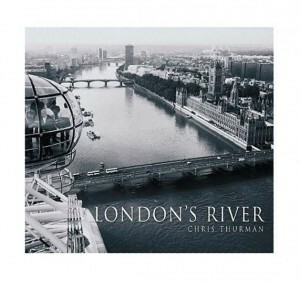 Thurman captured many facets of the river's former industry, such as looming cranes along the South Bank and Bankside Power Station in full steam. The NatWest Tower (now Tower 42) is pictured half built, while the Gherkin, Shard and co are not yet even imagined. 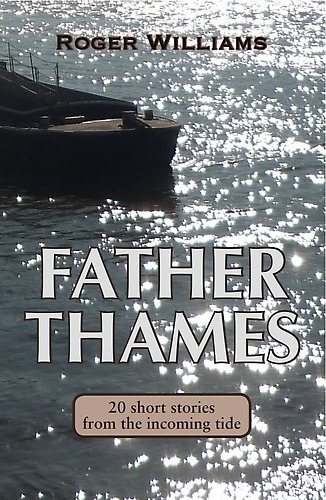 A smashing, splashing collection of short stories about the river, interleaved with episodes from the narrator's sea voyage from Antwerp back home to London. Each of the tales stands as an independent reflection of the river and its peoples, but each also weaves subtly into the whole, building a collection that tidally explores the themes of journey-making and fatherhood. Exemplary stuff. Did you know it's possible to circumnavigate the capital (or at least north London) by boat? This is Meyric Hughes' account of piloting a small sail boat along the Thames and canals, along with a chunky dose of wit, wisdom and mishap. Also, he may have found a way to do a loop of London that's faster than a typical ride on the real Circle Line. You'd think, walking the route of a river, it would be impossible to go the wrong way: just keep the Thames on your left, or on your right. Not so. There are many stretches of the Thames Path that veer away from its namesake, to avoid private property, marshy land or other obstacles, meaning that a guidebook is essential for anyone embarking on this 180 mile National Trail. Sharp does an excellent job of combining directional information and pointing out features of interest. If Family Fortunes asked its survey to name a book about the Thames, Three Men in a Boat would surely be the top answer. 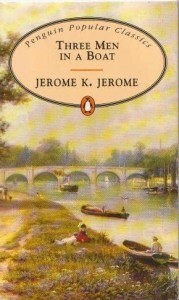 This slim novel supposedly concerns itself with the Thames adventures of our trio plus dog, boating their way from Kingston to Oxford. In fact, much of the prose comprises flashbacks and tall stories that have little to do with the river. 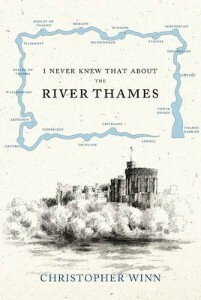 Laboured in places, and perhaps not as comical to the modern reader as it once was, the book still has legions of fans, and it remains an essential read for anyone who would know the cultural history of the Thames. Londonist is official media partner for the Museum of London Docklands 10th anniversary exhibition, Estuary, which features artistic responses to the downriver Thames. This free exhibition runs until 27 October.